Bottles flies thrive on organic compounds and are generally associated with dead or rotting flesh which makes them a hazard through cross contamination. 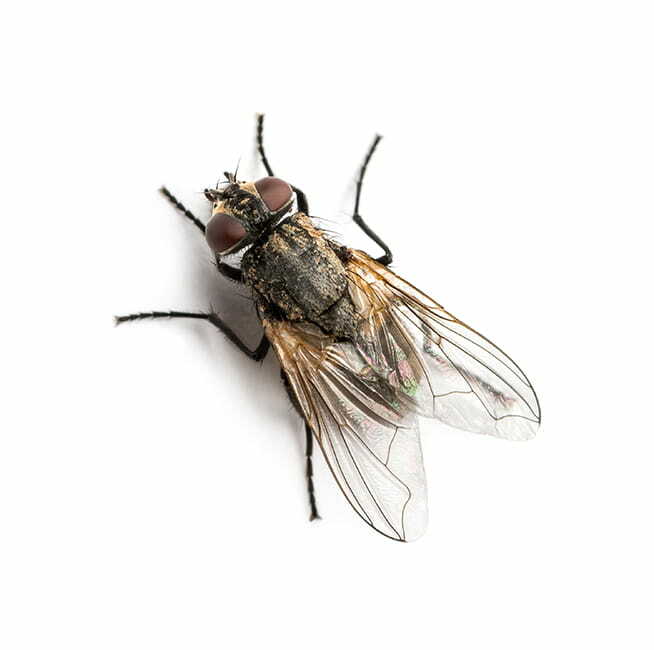 Bottle flies (also known as blow flies) are metallic green to green-golden with black markings, and since they are associated with dead or rotting flesh, they can be a hazard through cross contamination. Bottle flies (also known as blow flies) are metallic green to green-golden with black markings, ranging from six to 14 mm in length. Bottle flies are found near dumpsters, as they lay eggs almost always in dead or rotting flesh. They are mostly located in the outdoors and farm environments. The life cycle of the bottle fly consists of four stages: egg, larva, pupa and adult. Female bottle flies can lay up to 2,400 eggs in their lifetime—typically 600 to 2000 in batches of 100 to 180 eggs. They lay their eggs in cavities or crevices within a dead or dying organism. Larvae or maggots will emerge and begin to feed on the decomposing entity before pupating after about 10 days. Larvae and pupae can survive the cold, but adults die in the winter. The development time can be as short as 10 days or as long as 21 days. Are Bottle Flies hazardous to humans? 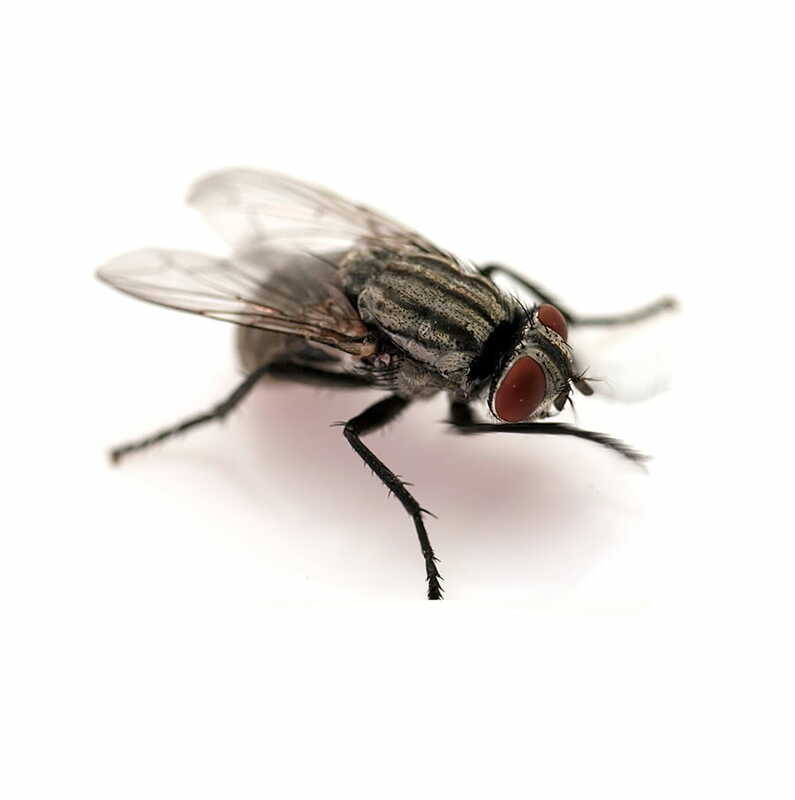 What causes a Bottle Fly infestation? Small dead animals including rodents and birds can attract a bottle fly infestation inside your property. While dog excrement, garbage and compost piles are common outdoor sources. How can I prevent a Bottle Fly infestation? Proper maintenance and removal of all garbage and animal feces, as well as the proper refrigeration of stored meats, assists in keeping the bottle flies at bay. Furthermore, any decaying animal organism found near homes should be properly removed in order to eliminate breeding grounds for the flies. How do I remove a Bottle Fly infestation? Bottle flies breed near decaying meat and decomposed matter, so place all trash in receptacles with a tight-fitting lid. If there is any rotting material, dispose of it immediately. Then cleanse with a cleansing solution to remove all traces of the flies and their eggs. 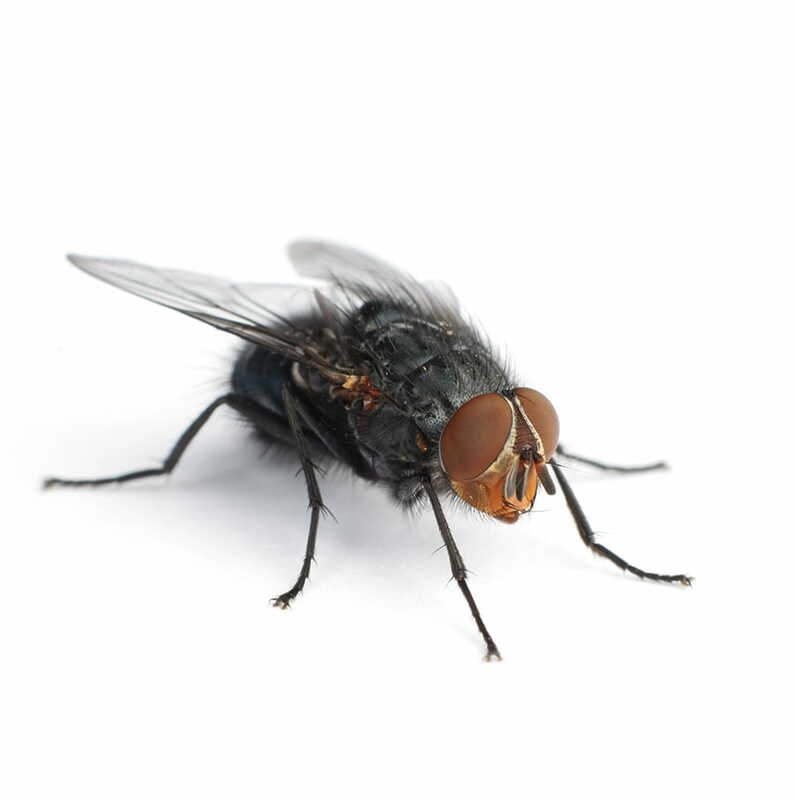 If the bottle fly infestation returns or worsens, contact Abell Pest Control, we have expertise in the elimination of bottle fly infestations.